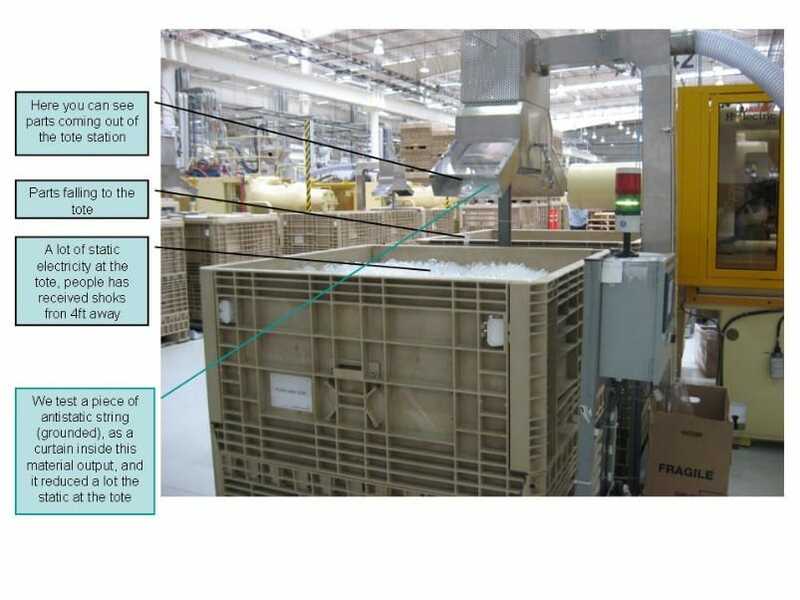 PROBLEM: When a plastic part leaves the mold, it holds a very high static charge level. 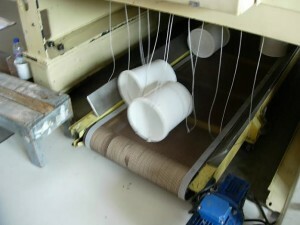 Airborne dust and particles attract immediately to the plastic parts, contaminating them. Operators receive static shocks when handling these parts. 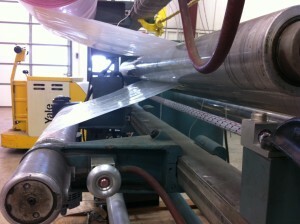 Also, once stacked the static charge is trapped between the surfaces of the plastic and is not removable. Customers will complain about static when separating or handling the parts. 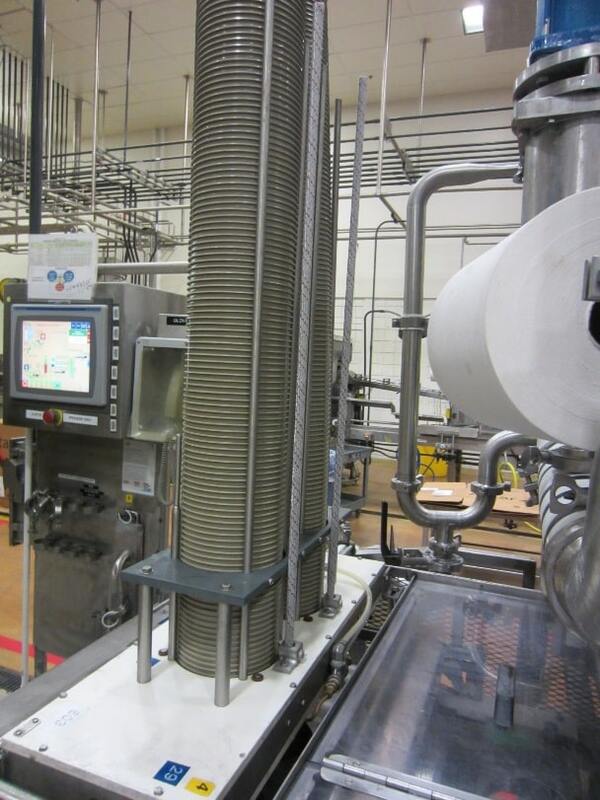 SOLUTION: When the parts are handled by a robot, StaticString™ or Ion360™ Rods can be placed to remove the static, eliminating dust attractions and shocks to people. 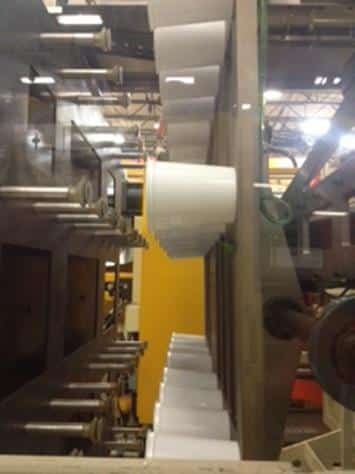 The molded plastic cups pass by the StaticString™ or Ion360™ Rods as they are being transported by the robot arms to a conveyor. Strands of StaticString™ are placed so that plastic parts pass through them as they fall onto a conveyor. This eliminates high static on their surface and thus stopping dust attraction and shocks to operators. PROBLEM: When plastic bottles are blow molded a high static charge is generated on their surface. When conveyed, this high static charge can attract dust, cause shocks to people, and make the bottles cling and repel each other. 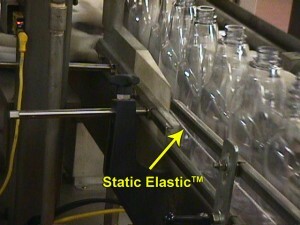 SOLUTION: StaticElastic™ is placed near the surface of the bottles as they are conveyed, eliminating the static. Ion360™ Rods are placed near molded plastic containers, removing the static on them as they are stacked. 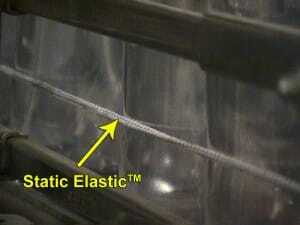 Shown above: StaticElastic™ on an extruded plastic web. 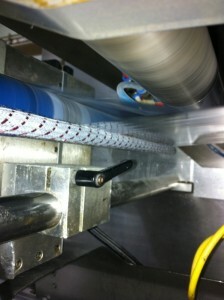 Notice how the StaticElastic™ is grounded to the machine with a magnet. PROBLEM: When the plastic web is extruded, it holds a very high static charge level. Airborne dust and particles attract immediately to the surface, contaminating it. 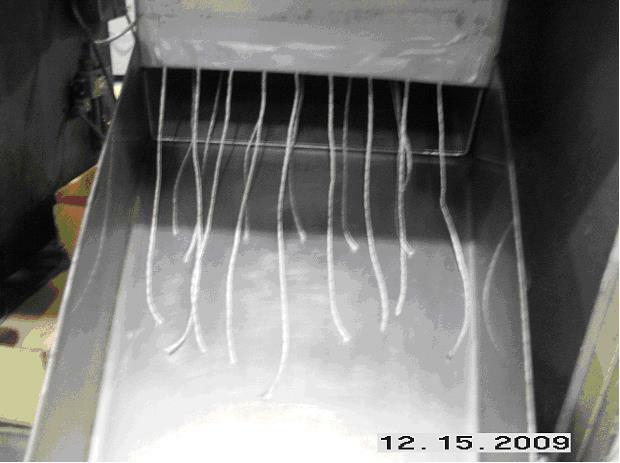 SOLUTION: Remove the static charge using the StaticElastic™ or Ion360™ Rods immediately after extrusion (as shown above). 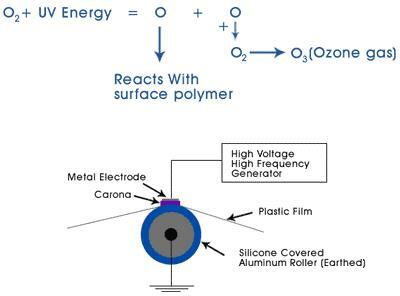 PROBLEM: Immediately after extruding, high surface charge can get embedded in the surface as the plastic cools. SOLUTION: Remove the static immediately after extruding to keep the static charges from embedding into the cooling surface. 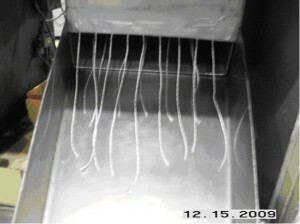 Both the Ion360TM Rod and StaticElasticTM do this effectively. 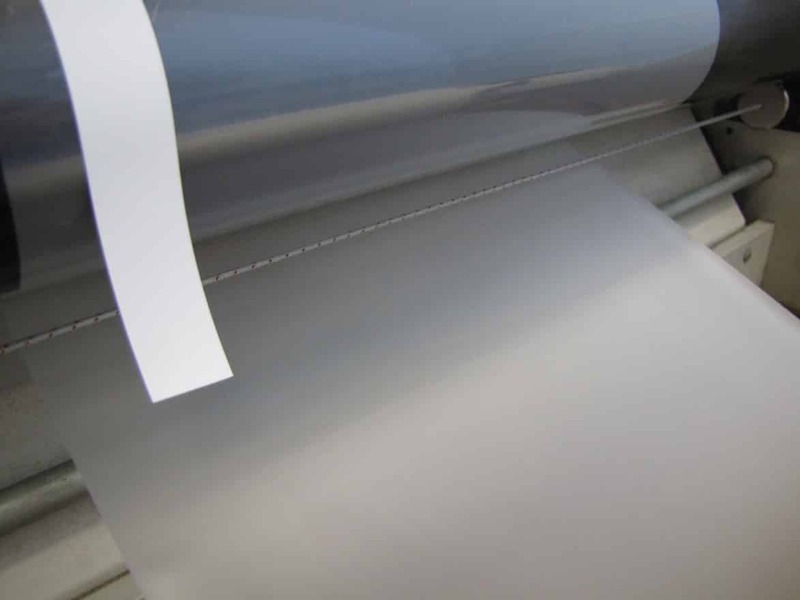 PROBLEM: Corona treating requires careful attention to static control. It can embed surface charges into plastic web surfaces just after treatment as the surface cools. SOLUTION: Removing the surface charge from corona treating can be done with the StaticElastic™ immediately after treatment. PROBLEM: The back-up rollers is covered with an insulative surface which can store high static charges and get damaged by electrostatic discharge causing pinholes. 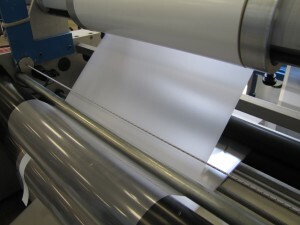 Also, contamination of the back-up roller surface reduces the efficiency of the treatment and requires frequent cleaning. 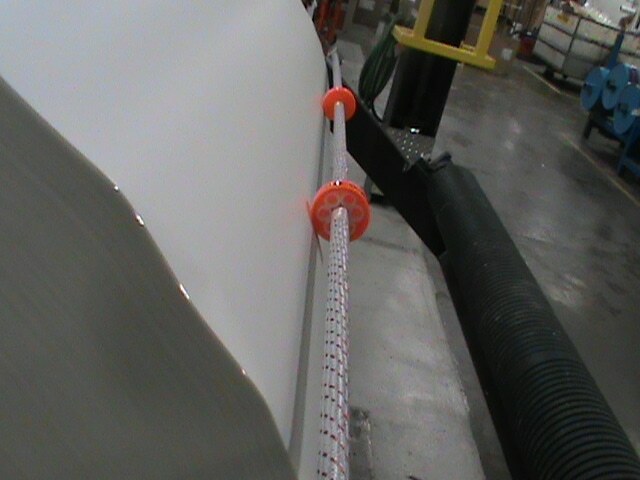 SOLUTION: Place the StaticElastic™ across the surface (about .125”) away and ground it to the machine.